Next week I will be speaking at the Jamaica Employers Federation Convention 2007 on the topic of networking in the Caribbean region. As I prepare, it has struck me that this kind of networking is based on some fundamental differences that all professionals across the region must come to terms with. The first is that there is absolutely no way to network across the region without using the internet. The second is that internet-based networking is actually happening whether a given professional is actually actively involved or not. Imagine that in five years or so your name will be all over the internet. Today, a Google search done on a professional’s name probably picks up some small scrap of the total content that will be available in 2012. who will be creating this content that will be picked up the search engines? Good question, but I can’t really know the answer. I can say with full assurance that a working professional who is committed to either growing their business or rising through the ranks in some company is going to find their name mentioned in the press, on their employer’s website, in meeting minutes of conferences, in their friend’s blogs and at their cousin’s myspace.com website. In other words, if they do nothing, then others will be defining who they are to the world. More specifically, they will be defining them to the rest of the Caribbean region. What is the professional to do? 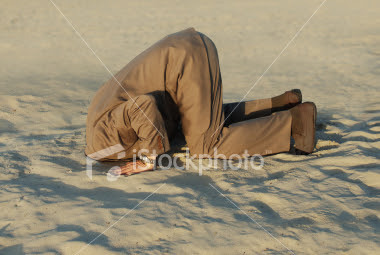 One approach is to stick one’s head in the sand and hope that all this internet nonsense will just go away. These are just some of the ways in which a professional can create content that demonstrates who they are to a global audience. 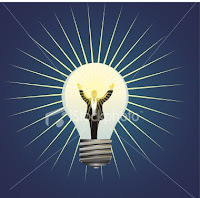 Sharing interesting ideas is probably the most effective way to become known in this, the information age. Not so long ago, only 15 years in fact, there was very little understanding about this new thing called “email.” Today, email is a staple of doing business, moving from complete obscurity to the kind of ubiquity that makes not having an email address a kiss of death. In the future, putting one’s head in the sand about their “internet brand” will be just as deadly. A good time to start to build that brand is right now. Ideally, a Google search on our own name should yield a combination of items that we want our fellow professionals to see, rather than some random smattering of stuff other people have decided to say. It is critical that our region’s professionals take the task of managing their online brand as an essential one — as essential as deciding what to wear to work each day. As we enter the political season here in Jamaica, there is a growing topic of conversation about what the country needs to do to grow, and thereby reduce unemployment. I found the following article to be quite interesting, and emphasizes some of my own concerns about hiring employees. I consider myself to be a typical example — I have done business in Jamaica for years and am yet to hire a single Jamaican. Not that there is anything wrong with professionals here. It’s just that my impression is that it is just too difficult a process to endure. For better or worse, the Cricket World Cup has put our region firmly on the world stage as a united entity, jointly accountable for the success of the event. It is the first time that we are coming together to host an event of this magnitude, and I felt proud of us as a region after the Opening Ceremony in March. I find that we as a region are sometimes too shy to promote ourselves and our strengths on the world stage, and don’t appreciate the value and impact of our own brand in the world. Hopefully, after the matches are over we will have learned how to better harness our own strengths, especially outside of the realm of sun, sea and sand. There is a quiet revolution underway in which leading companies are changing the way they’re thinking about customer service. When companies fail to create a branded experience, they run the risk of either providing a bland experience that customers do not value or even creating a negative experience that customers actively avoid. Such is the case of the ICC Cricket World Cup currently underway across the West Indies. The promise seemed simple: create a world-class event and cricket lovers the world over would come. Unfortunately, the delivered experience has driven away local fans and turned off visitors, and there is universal recognition that something must be done to correct this. What could the ICC Cricket World Cup organisers have done to prevent the fallout that’s now occurring? What went wrong in their planning? What can regional companies do to prevent their own customers from abandoning them at key moments? In our most recent endeavor at Framework, we have been looking at this question for several clients—and we think that the ICC could have followed a simple process to craft a precise experience from inside the world of their customers, create channels to deliver the experience consistently, and ensure that interventions to restore the desired experience are timely and authentic. As companies change the way they think about the customer’s experience, savvy firms are focusing on creating specific “experiences” comprised of actual emotions they want their customers to retain after an encounter with the company. In this context, the experience is a possible differentiating factor, built by the hotel, based on an understanding of what its target customers want—and what the hotel can actually deliver. Obviously, no set of experiences are universal and apply to all customers. Equally obvious is the fact that not all hotels are interested in delivering the same experience. A different hotel might be interested in creating an experience of “adventure, thrift, and practicality” for its customers. If both hotels were effective in creating these experiences, they would appeal to very different segments, with brands that overlap only rarely. In the case of the ICC Cricket World Cup, the “world-class” experience that’s associated with sporting events in developed countries has done much to turn away local lovers of the game. The truth is, although half of the world lives on less than US$2.00 per day, the idea of what is world-class probably wasn’t defined with the “lower half” in mind. Instead, it most likely came from feedback gained from the 20% of the world’s population in the developed nations who consume 86% of the world’s goods (and perhaps even more of the global, live sporting events.) Here in the Caribbean, with our developing economies, we are hardly a part of the influential 20%. A conversation with the average man in the street, or a visitor to the region, would reveal that our cricketing customers are very different from those envisioned by the typical customers of world-class events. The experiences we value are very different— more noisy, spontaneous, and reliant on people interacting with one another. Unfortunately, companies in the region often assume that world-class is better. This is an excellent example where that thinking is just plain wrong. The problem was created when the term “world-class” was not translated into specific experiences. Furthermore, foreigners have been complaining that the cricket experience they are having is sterile, and “not Caribbean enough.” One visitor quipped that if he wanted that kind of experience he would just have stayed home in England. Shifting from vague ideals such as “world-class” to specific experiences is more than just a cosmetic play of words. When experiences can be understood as a combination of critical emotional outcomes, practices can be customized to produce them. Take, as an example, interactions between the flight crew and customers in the airline industry. A company that intends to create the experience of “peace and quiet” would train the staff in very different practices from one that creates the experience of “spontaneity.” The practices would contrast in tone, length, volume, and warmth. To illustrate, Southwest Airlines is well known for the jokes, contests, and songs that its flight crew (including the captain) tell over the intercom at different points in the flight. As a customer of Southwest, which specializes in short-haul flights, I can report from the experience that it was fun. However, I also truly appreciate the peace and quiet provided by a British Airways business-class seat on a long trans-Atlantic flight. As another example, here in the Caribbean, a company that tries to deliver the same experience to its clients, regardless of the culture of each client’s home country, can run into serious trouble. A Trinidadian customer may respond very differently to an invitation to go out for drinks and a lime after work compared to a Barbadian in the same situation. A savvy company accounts for regional differences and customizes its practices to carefully produce the desired experience, while monitoring the actual experience its customers are having. Unfortunately, international research conducted by Bain & Co. shows that most companies are in the dark. Some 80% of companies believe that they are delivering “a superior customer experience,” while only 8% of their customers agree. The best companies go further than customizing their practices, however. 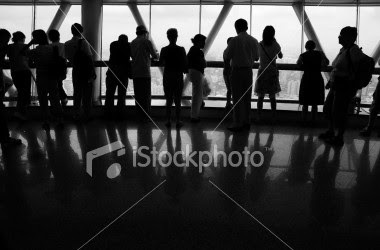 They also define what happens for customers at each point at which the company interacts with the customer. Recently I made my first visit to a new bicycle shop here in Kingston, Jamaica. The outside looks rather ordinary, as the shop is tucked away between other stores behind a very shallow parking lot. However, when I entered it for the first time, I had only one thought: “This feels like America!” The layout was superb, the store was air-conditioned, and the merchandise was well lit and attractively displayed. It was a vivid touch point, and I have not visited another bicycle shop since then, as this one is a clear step above any others in terms of its environment. Perhaps the owner designed the store’s interior with a particular experience in mind: “inviting.” If so, he has succeeded—the layout invites the customer to linger, and, in my opinion, it’s the only bicycle shop in Kingston that comes close to accomplishing this feeling. The first entrance into the store is a powerful touch point. When I first did this exercise for Framework Consulting, the insights I gained were stunning. When I stepped into our customer’s shoes, seemingly trivial details became critical. These are all valid touch points, and they all work together to create our company’s particular brand and some overall experience for our customers. I found that I was managing a mere subset of all potential touch points. • The brand name of the toilets was neatly (and bizarrely) covered with duct tape . . .
All of these touch points together—good and bad—helped to make the total experience. A note about the duct tape on the toilets: While covering the brand name on a toilet may have something to do with a world-class standard (i.e., ambush marketing), the feeling of outrage that I felt at that moment has stayed with me. (Apparently, the manufacturer declined to be a sponsor, hence the peculiar need to hide its name from the public.) I cannot imagine that too many West Indians would take this particular tactic lightly, and many sportswriters have written about the greed and selfishness that it exemplifies. Clearly, this touch point created an experience that was foreign to the majority of the ICC Cricket World Cup customers. Taken together, the mixed bag of experiences, via different touch points, has resulted in empty stadiums (to date) and a bitter taste in the mouths of many fans—a bad taste that the organisers are now desperately trying to correct. customer’s experience and instead tried something bolder—to “change Caribbean culture,” in the words of Stephen Price, the tournament’s commercial director. Needless to say, it’s much more difficult to “change” customers than it is to provide a particular experience that customers value, and more recent actions seem to indicate a course correction. This is not to say that there aren’t aspects of the Caribbean culture that work against us, but the customer is the wrong element to try to change. Instead, the tournament staff—those who deliver the bulk of the experiences to the customer—should be the real point of focus. Companies that decide to transform themselves to deliver a consistent customer experience must start with the people who deliver the experience. Coaching and training interventions are the best way to change the knowledge, skills, and motivation required. Unfortunately, the average employee in the Caribbean region is at a severe disadvantage. Here in the Caribbean, however, the average service provider just hasn’t had that same experience. In fact, the average Caribbean national is hard-pressed to identify a single company with which they interact that provides excellent service. That doesn’t mean that Sandals, for example, isn’t providing excellent service. However, the income gap between our average service worker (earning perhaps US$200 per week) and the average Sandals customer (paying $US200 per night) means that the majority of workers will never spend a night at Sandals. Caribbean service workers are therefore in a bind—How do they meet customers’ expectations when theirs have never been met? How do they provide a service level that they’ve never personally witnessed? How do they effect behaviours that deliver an experience that they’ve never had? This question is not an easy one to answer, as we at Framework are finding, but we have had some success by taking the following two steps. Managers must define the customer experience in terms that the service worker can appreciate and understand. This may mean using language that’s colloquial, based in patois or local jargon. The point here is to make it easy for the service worker to remember and focus on delivering the experience. The benefit derived from making the experience explicit is that the service worker is better able to judge whether or not the experience is being delivered. When general terms such as “world-class” are used, that actually communicates very little to the service workers—leaving them unable to correct their behaviour, even if they want to. the key to communicating what the goal of each interaction actually is. Managers must train workers to develop aspects of their emotional intelligence that emphasize the ability to recognize, and respond to, the emotions of customers—especially when those emotions might be negative. The emotional intelligence needed to consistently deliver a customer experience can be learned. With consistent coaching, an employee with a basic level of empathetic skills can learn how to use touch points to accomplish the company’s goals. Most are not able to turn themselves into experts overnight, however. Managers must make time to not only train, but to serve as role models for the standards it takes to create a desired experience. The best managers believe this rule: service workers will not deliver an experience to a customer that exceeds the experience that they’ve had with their own management. The best managers give enough of the “right” experience to their front-line workers in order for those workers, in turn, to be able to give that experience to others. For this reason, the first-level, or front-line manager’s role is a critical one. Long after the ICC Cricket World Cup has come and gone, companies in the region will be able to use the example of its citizens direct experience to see that delivering good service is not merely a matter of repeating what is done elsewhere. Instead, it takes the precise application of touch point standards and interventions in every case—and when the job is done well, the customer’s experience is assured. I will be speaking at the upcoming Jamaica Employees Federation conference from May 3-6 in Ocho Rios on the topic: Building Bridges across the region: Networking Strategies and Techniques for the New Breed of Caribbean Managers. We are on the lookout for possible contributors to FirstCuts. If you are interested, send email to francis@fwconsulting.com to be included in a future mailing. Please send this request along to others. Surpassing Customer Expectations and A Happy, Fun Workplace? In a Harvard Business Review article dated from July 2003 entitled “What Really Works” by Nohria, Joyce and Roberson, the authors reveal some interesting research that makes a couple of very different points. The two points come from their observation that winning companies use a combination of management practices that can be thought of as 4 mandatory practices and 2 optional practices. The mandatory practices are strategy, execution, culture and structure. The 2 optional practices can be chosen from a menu of 4 practices. They are Talent, Leadership, Innovation and Mergers & Partnership. Among the many items of interest are a couple of points. In a prior blog, I wrote about the fact that the ICC Cricket World Cup, with its emphasis on “World Class Standards,” has so far failed to create an experience that West Indian cricketing fans are interested in paying a premium for. In other words, then, experiences that customers are not willing to have just might not be worth creating. On the other hand, experiences that customers believe that they must have are absolutely necessary, and not in some theoretical way, but in a felt way – deep down inside the bones of the customer. Mangers need to be careful not to superimpose experiences on the customer they do not want. For example, it may very well be that a customer of world class standard cricket wants to be able to watch the game without having someone next to them blowing a conch shell… or selling peanuts… or shouting loudly… or dancing at every minute, or offering them food to eat that their “Auntie” made just this morning including something from a goat. However, for a Caribbean customer, these are required experiences that make Caribbean cricket what it is. Improvement then becomes a matter of trying to plug all the leaks in the fun people expect to be having. Unfortunately, no company can be expected to be the grand provider of all things that are fun… in fact, to commit to this goal seems to me to violate the principle that each person is actually responsible for their own fun in the first place. Fun, and happy employees, seem to me to be more of a fortunate by-product for those people who happen to enjoy cultures of high performance and ethical standards. For those employees that do not enjoy such cultures, then the workplace will always be a miserable place. 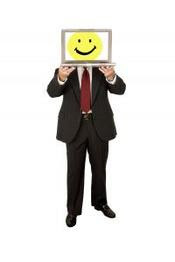 Companies that try to make their employees happy run a grave risk of putting the cart before the horse.